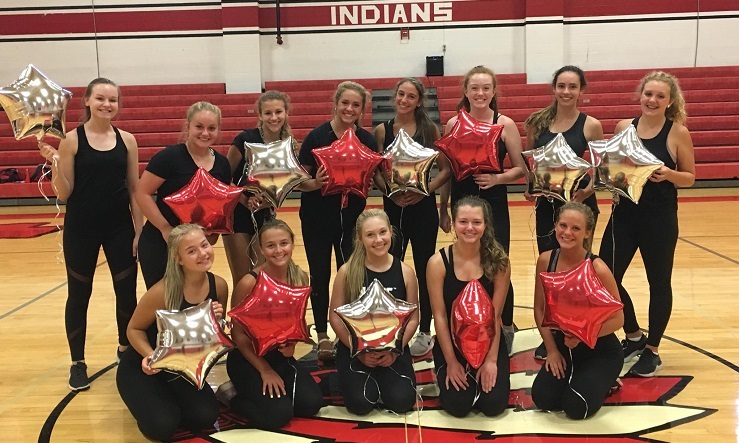 The Bridgeport High School Danceline for the 2018-19 school year has been selected. Members (not in order of photo) are Madison Hess (not pictured) and Megan Murray (seniors), Sophia Duarte, McKenna Eddy and Abby Jeffers (Juniors), Mackenzie Gould and Samantha Olivio (sophomores), Emily Byrnside, Sophia Cava, Maggie Holstein, Laura Pallay, Sophia Pinti, Sydney Synder and Olivia Spatafore (freshmen). Coached by Terri Kress, the team will perform at home BHS varsity basketball games, BHS Homecoming Assembly and Bridgeport Light Up Night.